The chamber unanimously passed bipartisan legislation designating the American bison as the country’s national mammal. 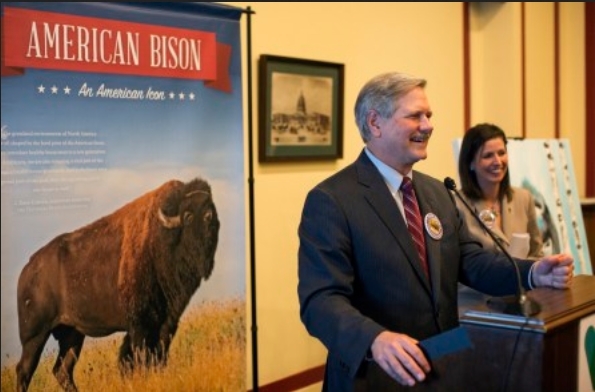 “The bison, like the bald eagle, has for many years been a symbol of America for its strength, endurance and dignity, reflecting the pioneer spirit of our country,” North Dakota Sen. John Hoeven said in a statement Friday. New Mexico Democrat Martin Heinrich joined Hoeven in sponsoring the legislation, and in championing its passage on Thursday, he heralded the bison’s importance to Native Americans. In a release, the senators pointed out that North America was once home to 40 million bison, but the animal’s population dwindled to fewer than 1,000 by the late 1800s. 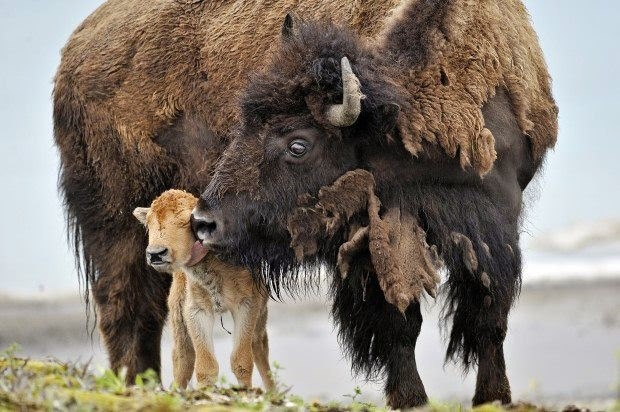 “The species is acknowledged as the first American conservation success story,” the senators said, with public and private bison herds now in all 50 states. The Interior Department’s seal features a bison, and three states — Wyoming, Kansas and Oklahoma — have already designated bison their state mammals, according to The Vote Bison campaign. The group includes a range of coalition partners from a handful of zoos to the outdoor clothing company Patagonia and the Howard University Alumni Association. This isn’t the Senate’s first display of affection for the woolly creature. In 2014, the body unanimously designated Nov. 1 National Bison Day. 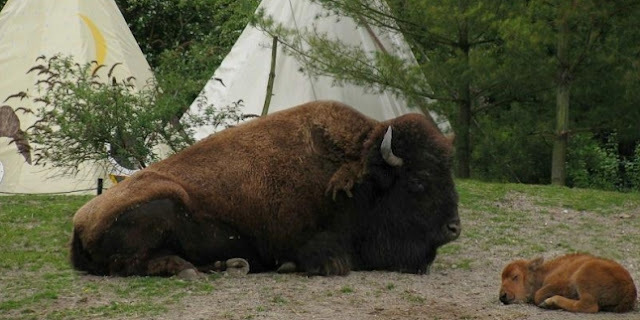 Responses to "Symbol of America: Senate Approves Bison as National Mammal"
next stop..let them live free and in peace! It's great that the bison is getting national designation, but I would accept it more if Congress also set aside a million acres of open prairie for the remaining bison to live on and budgeted millions of dollars for traditional Indian cultures to be taught to the young on the reservations AND more scholarships for higher education. Congress should put their money where their mouth is. Remember it was GOVERNMENT policy that promoted the extermination of both Indians and bison in the first place. My people (white, European ancestry) always seem to destroy whatever is in its way, and then, supposedly honor our victims with meaningless status symbols. Giving the bison national mammal status or naming sports teams after the Indians only makes MY people feel better about what we did in the past. In my opinion that simple recognition is not sufficient restitution. As a professional naturalist living in Florida, I always feel a little pang of remorse when I see something like a golf course community named "Eagle Ridge" knowing that there USED TO BE an eagle nest in the middle of a wetlands there. For me, that that type of recognition is not one of honor, but rather one of disrespect and insult.